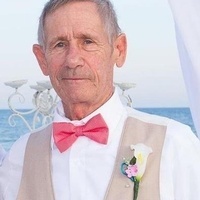 Robert “Bob” C. Roedersheimer, 67, died Thursday, February 7, 2019 at NHC Healthcare Oak Ridge. Born in Montgomery, Alabama, Bob was the son of the late Lawrence and Myrtice Smith Roedersheimer. He was a Distribution Manager for American Metal Products before his retirement. Bob loved to hunt, fish, and play golf. He was a big Alabama football fan. Bob was of the Catholic faith. Survivors include his wife Sylvia Roedersheimer of Caryville, Tennessee, daughter Maiga (Heath) Maynard of Hot Springs, Arkansas, son Wesley (Jamie) Roedersheimer of Memphis and stepsons Randy McKamey of Memphis and Marcus McKamey of Chattanooga, sisters Nancy (Dennis) Quintavalle of Decatur, Alabama and Karen (Curtis) Locklin of Orange Beach, Alabama, grandchildren Kailey, Keaton, Lilian, Kamdyn, Aniston and Charlie Carroll and his dogs Bella, Bandit and Liberty. In lieu of flowers, memorials may be made to brainfoundation.org.au. Vaughn Funeral Home, Spring City, Tennessee 423- 365-5221 is in charge of arrangements. Please share your condolences and memories of Bob on our website www.vaughn-funeral-home.com.